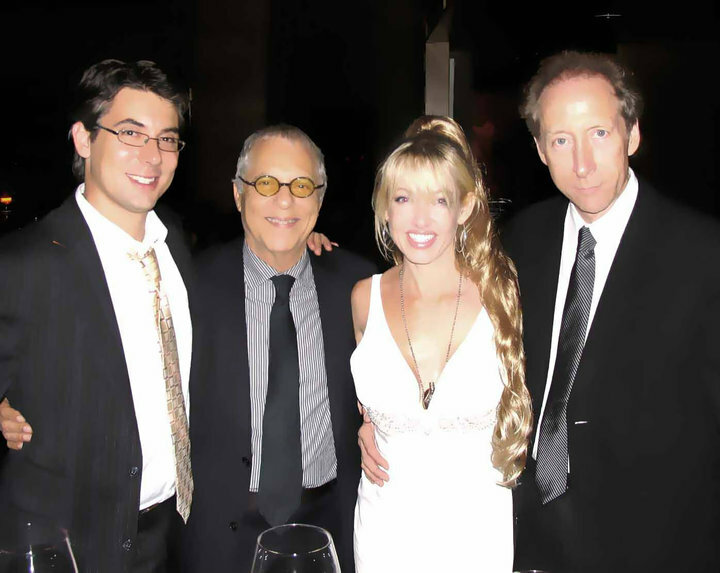 Anna Mjoll back @ Vibrato, Nov. 27, for some Groovin' Thanksgiving Weekend Jazz! Come hang with all the other cool sunshine people of California for a Groovin' Thanksgiving Jazz Night with Anna Mjöll @ Herb Alpert's Vibrato! This Saturday, November 27th, at 9pm. Then you'll understand why we at Jazz Station have voted her one of the Top 5 singers in the current jazz scene. ANNA MJÖLL (vocals) with the PAT SENATORE TRIO !! 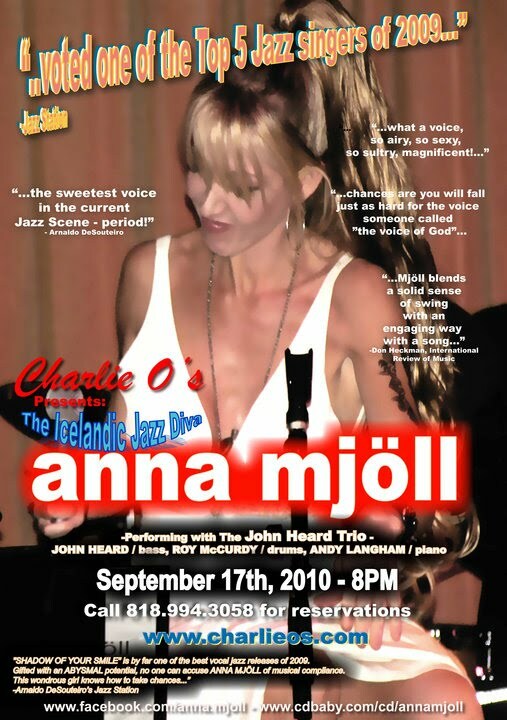 After acclaimed apperances in such jazz clubs as Vitello's, Charlie O's and Baked Potato, LA-based Icelandic jazz princess Anna Mjoll returns to Vibrato. "As far as repertoire goes...everything from Invitation to Desafinado to 500 Miles High to Round Midnight to One Note Samba to How High The Moon, All of Me, Perdido, Blue Skies, Lover Man, Old Black Magic, Cry Me A River, Misty, Summertime, How Insensitive, plus an original I wrote with trumpeter Lew Soloff," says Anna, one of the Top 5 Jazz Singers of 2009 in the 31st Annual Jazz Station Poll, thanks to her fascinating debut solo CD, "Shadow of Your Smile," which features Vinnie Colaiuta, John Robinson, Dave Carpenter, Don Grusin and Luis Conte. She has a new album coming out soon, "Christmas Jazzmaz," which includes such Christmas favorites as "Jingle Bells," "Have Yourself A Merry Little Christmas," "Sleigh Ride," "Winter Wonderland" and Mel Tormé's "The Christmas Song." "Icelandic jazz vocalist Anna Mjöll has developed a considerable buzz in L.A. selling out two nights of recent weekend shows at Vibrato." Back from her native Iceland, our LA-based jazz diva is back on the block. 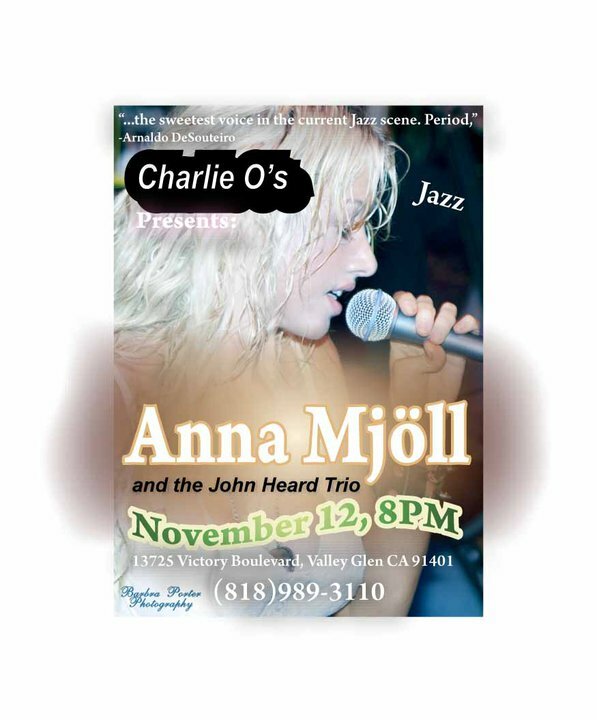 So, come hang with all the other cool sunshine people of California for a Groovin' Jazz Night with ANNA MJÖLL @ Charlie O's! This Friday, November 12th, at 9pm. Then you'll understand why we at Jazz Station have voted her one of the Top 5 female singers in the current jazz scene. Anna Mjöll will be performing @ The Baked Potato (3787 Cahuenga Blvd., Studio City, CA) this Sunday, October 10. Adding songs like "Pannonica," "Freddie Freeloader," "A Night in Tunisia," "Monk's Dream," "Nature Boy" and Antonio Carlos Jobim's "Inutil Paisagem" (singing Aloysio de Oliveira's original Portuguese lyrics) to her impeccable repertoire. Icelandic jazz vocalist Anna Mjöll has developed a considerable buzz in L.A, selling out two nights of recent weekend shows at Vibrato. Sunday night finds her backed by her best ensemble yet, this time for a gig at The Baked Potato. The lineup includes Mitchel Forman on keys, Edwin Livingston on bass, Steve Hass (Manhattan Transfer) on drums, and Mike Miller (a veteran of Bette Midler's recent extended run in Las Vegas) on guitar - plan on arriving early for seats on what's likely to be the busiest Sunday night in some time at the Studio City club. "Someone recently referred to Anna's new CD, recorded in California and mixed in Reykjavik, as "a must have by the sweetest woman and singer this side of Iceland!" I must add: a must have by the sweetest voice in the current jazz scene. Period." "Shadow..." features the LA-based Icelandic jazz diva surrounded by an all-star band led by her lucky arranger/producer/guitarist Ólafur Gaukur: drummers Vinnie Colaiuta (the current drummer's drummer all over the world) & John "JR" Robinson (Quincy Jones' favorite drummer ever, with Micahel Jackson's "Thriller" on his impressive discography), bassists Dave Carpenter & Neil Stubenhaus, keyboardist Don Grusin and percussionist Luis Conte, whom I first met when he was playing on Madonna's "Blond Ambition" tour. In some tracks - "I Get A Kick Out of You", "C'est Si Bon" and "Fever" . She knows how to caress a melody and seduce the listener, like happens throughout the album. Another highlight, "Fever," firstly made famous by Peggy Lee and later revived by Madonna, is a singing lesson in the sense of how to make each and every word sound with the proper impact and feeling. Don Grusin's piano floats in perfect empathy with Anna's milky vocals on Burt Bacharach's "The Look of Love." Don't lose your time trying to compare her with Dionne Warwick or Diana Krall. Mjoll's once again sounds ultra-peculiar. 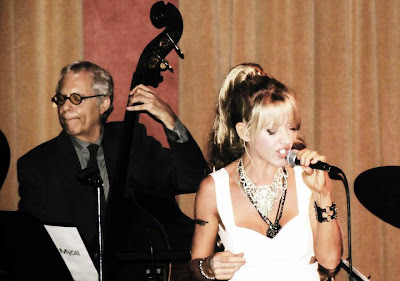 Diva Anna Mjoll Stuns Jazz Supper Club Series at Vicky’s of Santa Fe. Marc Laliberte, Anna Mjoll, Marc Lodovico. 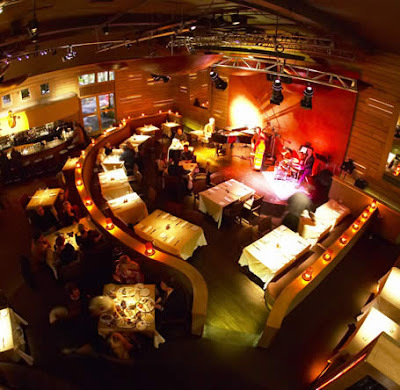 It was a packed house and a thrilled audience at the American Jazz Institutes Benefit Jazz Supper Club Series February 27 at Vicky’s of Santa Fe in Indian Wells. LA-based Icelandic jazz diva Anna Mjoll evoked Peggy Lee, Astrud Gilberto and especially Blossom Dearie, but fascinated with her highly personal interpretations. She knows how to caress a melody and seduce the listener. Mjoll seemed very comfortable on stage, comfortable in her own skin and very comfortable with her inimitable delivery of her material. She has a barely detectable accent, but it does make her sound just a little different from everyone else in an absolutely charming way. Vicky’s of Santa Fe in Indian Wells is the locale for the most exciting jazz series in the Desert presenting six Jazz Programs by The American Jazz Institute, proceeds of which benefit The American Jazz Institute’s in-school mentoring and music scholarship program in the Coachella Valley. All the shows start at 5:30PM in the Supper Club Lounge with no-host cocktails, followed by a special 3-course dinner and show. Buy your tickets now for the three different and exciting shows still left: John Proulx, March 20; Delores Scozzesi, April 9; and Denise Donatelli, April 30.